Sometimes we need a fresh word or promise for the season we find ourselves in-something that ignites our faith in the face of fear, doubt, loneliness, insecurity, or overwhelming circumstances. In this powerful study, author and speaker Laurie Short mines the Scriptures and guides you through insights and promises from 40 verses we often overlook. Digging in to these "in between" verses, she unearths fresh wisdom, guidance, and encouragement that will help you seek and experience God in new, dynamic ways. From trusting God's timing, to not worrying about the future, to holding on to faith when things look dark, the hidden insights found in these sessions will help you navigate the challenges that cross your path, breathe new life into your weary soul, and ignite your faith once again. 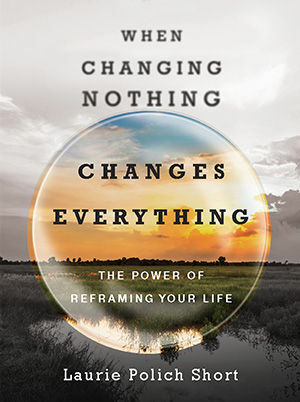 Be sure to check out Laurie's other popular study on RightNow Media called When Changing Nothing Changes Everything, which helps you access God's perspective on your life. We often face circumstances that we cannot change: a job we are forced to keep; a relationship that did not work out; a decision we cannot take back. In this 8 session series, Laurie Polich Short reveals how even if we can’t change our circumstances, we can still make a change in our life by the way we see it. With the help of 4 “lenses”, she shows how to access God’s perspective on our circumstances, which can impact the way we live. In each session, Laurie shows you how to access the bigger “God’s eye view” of your life, and opens the scriptures to reveal how this broader perspective can shape your decisions and impact. The study is full of biblical wisdom and personal stories, and Laurie gives many examples of how perspective has influenced the way people lived their lives for God’s glory. Jesus indicates the power of focus when he says: “The eye is the lamp of the body, if the eye is good then the whole body will be full of light.” (Matt 6:22). Your perspective has more power than you think to determine the course of your life. To fully experience this great study, please click on the links below to purchase the book or download the participant's guide, which was created by the author. 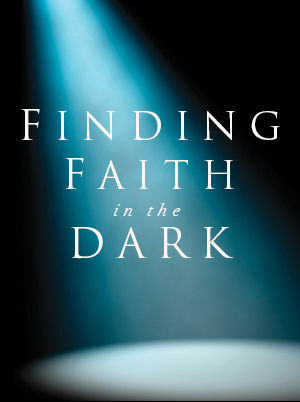 This 8 session video series is designed for a small group study of Finding Faith in the Dark. Perfect for women's groups, couple's groups or mixed groups, each video segment runs 7-9 minutes, and provides a key-off to a discussion on the chapters and themes of the book. Touching and poignant, these video segments can be shown to any sized group; and they include reflections from the author, as well as interviews with many of the people in the book. . The study guide to accompany this series is available for download on the author's website (www.laurieshort.com), and there are also some package deals available which include her book.